News & Events | Hydro-Flo Products, Inc.
For the sixth time since 2010, Xylem Inc., a global water technology leader focused on solving the world's most challenging water issues, and its Bell & Gossett brand, have received a Product of the Year recognition, most recently for the B&G Suction Diffuser Plus by Consulting-Specifying Engineer magazine. The Suction Diffuser Plus is an innovative flow-straightening centrifugal pump accessory that helps maintain efficiency, improve flow conditions and eliminate recirculation zones, reducing energy waste. The annual Product of the Year program was established to provide CSE readers with information about the leading new products in the HVAC, fire/life safety, electrical and plumbing systems engineering markets. This year, readers, many of whom are daily product users, recognized the market-leading B&G Suction Diffuser Plus with a Bronze Award in the HVAC category. "We are pleased that CSE readers acknowledged the energy efficiency benefits, quality and reliability of the Suction Diffuser Plus and nominated it as one of the best new products of 2016," said Mark Handzel, Vice President, Product Regulatory Affairs, and Director, HVAC and Commercial Buildings, Americas, Xylem. "The innovative Flow Cone technology enables the pump accessory to retain as much as 5 percent more of its intrinsic efficiency than similar products, ensuring the highest pump efficiency for a broad range of HVAC applications." A patent-pending Flow Cone design that addresses increasingly stringent ASHRAE and MEI efficiency guidelines by improving flow conditions and eliminating recirculation zones, which reduces energy waste. A mesh throwaway start-up strainer that ensures clean and trouble-free performance at installation. A large-diameter orifice cylinder that prevents debris from entering the pump suction, resulting in reduced maintenance costs. Optional pressure/temperature ports that allow operators to check system conditions and verify start-up strainer presence without having to shut down the pump system, saving installers time and effort. To learn more about the Suction Diffuser Plus, visit http://bellgossett.com/hydronic-plumbing-accessories/pump-accessories/suction-diffuser/. 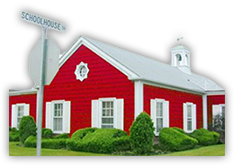 Announcing the Bell & Gossett Online Little Red Schoolhouse! Bell & Gossett is excited to expand the reach of its industry-leading training with its Online Little Red Schoolhouse. With this new initiative, the iconic brand's pump systems training and educational programming will be available to a global audience via the Internet. The program will begin with introductory courses on centrifugal pump fundamentals and piping systems. The centrifugal pump fundamentals course will include a comprehensive introduction to centrifugal pumps, their construction and operation; pump curves; NPSH; pump types and pump selection; as well as parallel and series pumping. The second course on piping systems will provide an overview of some of the most popular piping systems used in buildings today, including one-pipe, one-pipe monoflo, two-pipe, primary-secondary and variable primary flow. These courses are intended to complement the more in-depth, hands-on experience our students get through in-person courses at our B&G Little Red Schoolhouse location in Morton Grove, Illinois. The courses are free to engineers, designers, contractors, building operators and students, and qualify for continuing education unit credits. More courses will be added throughout the year and beyond, serving as the premier destination for virtual HVAC and plumbing system design training in the commercial building segment. Xylem Inc. was recently recognized as the winner of Consulting-Specifying Engineer's 2014 Product of the Year award for its Bell & Gossett brand Series e-1510 single stage end suction centrifugal pump. The product earned the coveted Most Valuable Product of the year title by receiving more votes than any product in any category. Consulting-Specifying Engineer's Product of the Year is the premier award for new products in the HVAC, fire/life safety, electrical and plumbing systems engineering markets. The annual reader's choice award program was created to provide readers of the publication information on top new products in their fields. "The e-1510 is built on the best-in-class 1510 pump to provide the highest overall efficiency in the end-suction market for HVAC and plumbing applications," said Mark Handzel, Vice President, Product Regulatory Affairs, and Director, HVAC Commercial Buildings, Bell & Gossett, a Xylem Brand. "The value of this product is apparent to Consulting-Specifying Engineer readers — a key audience for us — and we're pleased they recognize the outstanding benefits of the e-1510 and the superior Efficiency Island it offers." To learn more about the e-1510, visit http://bellgossett.com/pumps-circulators/end-suction-pumps/e-1510/. Xylem's Bell & Gossett brand is pleased to announce the release of an iPad, iPhone, and Android version of its new mobile product and literature catalog. It is available now free of charge.